Depop is the creative community’s go-to mobile marketplace. Shop unique clothes, buy and sell your sneakers, streetwear, vintage pieces, share your style and meet the Depop community, all from the comfort of your phone. - Looking for inspiration? Before trends hit the streets, they hit Depop. Shop over 10 million items from over 7 million users. With over a million items on Depop, sign up and tell us a little about what you like and we'll help you discover unique style. You can now quickly see if a seller is offering free shipping on bundles from their shop. Selling bundles? You can set even more shipping options for your buyers. We didn't stop there for this release. We've completely rebuilt the sign up experience to improve app speed and reliability. Your Depop shop lives on the web, so we’ve tucked your depop.com link into settings. It’s like your personal business card. Let people know about your shop, boost your sales. As always, we’ve continued optimising your Depop experience and this update is full of improvements to our bag feature. New to Depop? We won't ask for gender when you sign up but instead tailor your experience based on your interests. Just left a Seller a five star review? Help them grow their shop by sharing your experience to your friends and followers on your social channels. We've been working hard to squash some pesky bugs for you. Love Depop? Don't forget to leave us a review. One of the great things about Depop is the vast range of unique items we have. We've been working super hard to make sure it's as easy as possible for new users to find what they are looking for and enjoy Depop's fabulousness. In the next few days we'll be rolling out improvements to Explore and our search filters that make it easier to find the things YOU are interested in. From today you can search multiple subcategories at the same time, just try tapping on them when filtering. With millions of unique items on Depop it's now even easier to find the things you love. We've also given the home feed a little love and attention to make your shopping experience as smooth as possible. No more stuttering scrolling or image loading issues. We’ve overhauled ‘Saved Items’ to give you a better experience and fixed some bugs to make things run more smoothly. We've fixed some bugs to make things run more smoothly. Meet "For You". A new section in Explore that shows you items based on what you like. Listing boyfriend jeans or skinny jeans, loafers or flip flops? Add the subcategory to your listing to make sure it gets found. We've fixed a few bugs that you told us about to make things more stable. Your feedback makes us better. Don't forget to leave a review about your Depop experience. A small update to keep things running smoothly. We've fixed some bugs and made a few changes behind the scenes to make Depop even better for you. We've added a message icon under the product photo so you can quickly message sellers about their items and we've made it easier for sellers to edit a listing directly from a product. We've also fixed some crashes and bugs to improve your overall experience. Some bug fixes and under the hood improvements to make your Depop shopping and listing experience even better. 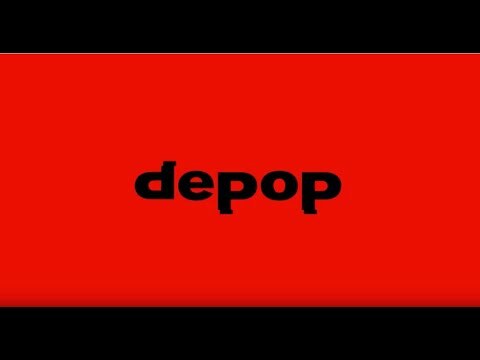 Excited about building your Depop empire? Learn what image and videos work best when you list. Have a LOT of likes? We’ve removed the limit on how many you can have so you can get LIKING again. Also, you won't hear sound on a video listing until you tap the audio icon! Last, we've removed Meet in Person as a delivery option. Hey video lovers, it's here! Following up on the ability to record a video for your listing, you can now simply upload one. As always, keep leaving reviews, we read every one and it helps us make the app better and better! We've made some underlying improvements to make the app more stable for you! We've also fixed a few bugs in this release to make your experience better. Rearrange your photos before you share your shop, you can delete them with a tap too. Slick. Your Depop shop looks great. You know that, we know that. So we’ve built a new way to share your shop to your followers on Instagram and other networks. Need support? Use our new and improved Help section to get answers. Looking at a item? You'll now see more details about it to help you decide if you want to buy it. Grab your popcorn, we’re rolling out video listings and will show the best on Explore. Got a great idea to promote the items your selling? Get filming! You can now find suggested, hand picked shops to follow right from Explore. We've also included more information on each item to help you get to know a seller even better. Love 'More things you might like'? We've now added them to items you browse on a profile. Last, we've improved how location is added to a listing and used in search. Every day our team is on the look out for great items listed by the Depop community.You can find these in the EXPLORE ITEMS section, and in this release, it's now possible to filter by category, size, brand or price or location when you use the FILTER option. Fixed an issue where some people weren't able to open their conversations when they went to their messages. Listing an item has been made easier with multiple image selection. Simply select the images you wish to upload and zoom or drag the image to crop! NEW:Keep hold of one or all of your listing images. Save them via a long press or by tapping the menu on one of your items to find the new actions.FIXED BUGS:No more issues sharing your purchases to Twitter & FacebookDeleting an item will now show as deleted without having to refreshCrash when occasionally selecting images for a listing has been fixed.Love the app? Hate the app? Want to tell us off? Rate us so we know what you think about Depop.